Starting a website always begins with the question of what niche you will be covering. For those who are interested in creating websites that offer information to readers that involve deals, promos, and coupons, there are a few things that are worth keeping in mind. Writing about the latest discounts from sites like Zalora might seem like the most natural thing in the world, but there’s a little more to it than you would think. You can click here for examples if you want. It’s worth noting that everyone is always looking for a good deal. Whether you are rich or poor, saving money will still be a good prospect. That’s why there is a huge pool of traffic to tap into when you provide people with the deals they are looking for. Today, In this article we will show you how to easily create a promos and coupon or daily deals website : 6 tips. There are a lot of retails websites out there. A lot. As such, you won’t have a shortage of domains to add to your list of stores that you are offering readers deals for. The most important thing to remember here is that even the addition of a website can be a means of attracting visitors to your site. Shoppers will inevitably have preferences, after all. 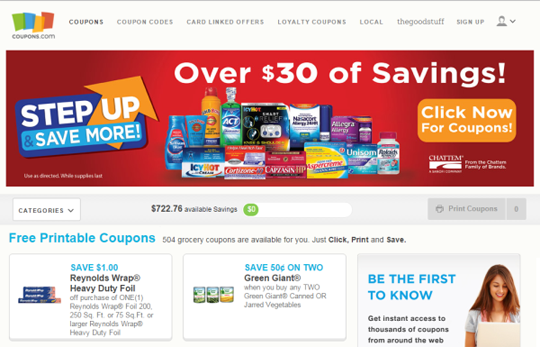 Some might only shop at major retailers like Amazon while others prefer options like GoBuy for their promos and deals. You can read more on that too. So every time you add a site, what happens is that you provide people with another option that they may be more interested in. So make sure to let people know that you have this or that site and make an announcement every time you add more. One of the most important aspects to promos, deals, discounts, and sales are the seasons. There are always sales events in Spring, Summer, Fall, and Winter, and a lot of other, smaller events between those. If you are going to provide your readers with the very best deals, you’ll want to make sure that you are actually up-to-date on which sites offer which products at the best prices during which season. A lot of smart customers are also going to expect this, which makes things awkward if they go to your site and it doesn’t feature the seasonal deals of the website on your list. You don’t want that to happen to you. Speaking of making things awkward, deals, by their very nature are fickle and short-lived. As such, you always want to make sure that your listings are updated. Get rid of the deals that are no longer relevant or your readers can no longer access. There’s nothing more embarrassing than having a barrage of complaints from readers saying you gave them the wrong information. It’s also worth pointing out that the bigger the discount, the bigger the disappointment if it doesn’t pan out. Thus, you end up with extremely angry readers. If your blog is going to specialize concerning what kinds of sites and promos it is going to offer, you want to keep your target visitors in mind. Are you going after technophiles or fashion addicts? Are they moms or your average college student? It’s important to always keep these details in mind so that you can provide them with the information that they are looking for. Just to make things interesting, you might also want to provide your readers with articles that cover topics like the best discounts in a particular category or the best promos with regards to a particular product. It just gives your website that extra level of interest from readers who might not have time to browse through your extensive list of deals. It just makes it easier for them. 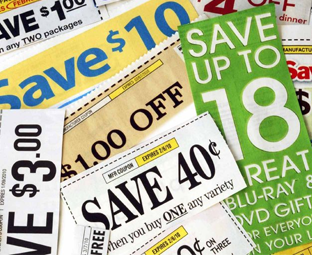 Believe it or not, there are a lot of people out there who still don’t know how to use coupon codes or how to search for discounts when shopping online. So if you can provide them with instructions on how they can accomplish these tasks, it would be a huge point for you. Make it as simple as possible too, so that even the least technologically capable can understand what you are saying. Finally, just crank out as many tips as you can offer. Make them about discounts, make them about the retail sites, make them about the products, or just make them about the industry of offering promos, in general. There is an endless number of choices when it comes to deciding the kind of tips you can offer. The most significant benefit to you when you produce these tips is that it is bound to attract any number of visitors. Sure, the most extremely niche tips might not net you thousands of daily traffic, but it adds up.